Enjoy living in the upmarket, hipster neighbourhood of Robert Quay, with its wide assortment of trendy wine bars, cafes, restaurants, and shops, in your own tropical paradise. Martin Modern is a new condo development set in a lush, private botanical garden, with over 50 different tree species and palms, and over 200 plants, with river views, or garden views. Wonder through the maze, or take a walk to find the secret garden. Martin Modern is a luxury Guocoland development that is based on spacious greener living. There are only two 30 storey towers being constructed on the property, and there will be 450 units to choose from. Martin Modern is a new project located near Orchard. This residential project is developed in Martin Palace which is a very prestigious site in Singapore. The large property with beautiful picturesque views of land with a residential housing complex near the river district of Singapore. Nearly 15,936.1 m2 plot is bid by the housing developer Guocoland. Martin Modern condos are designed to offer you the best light, and air flow. 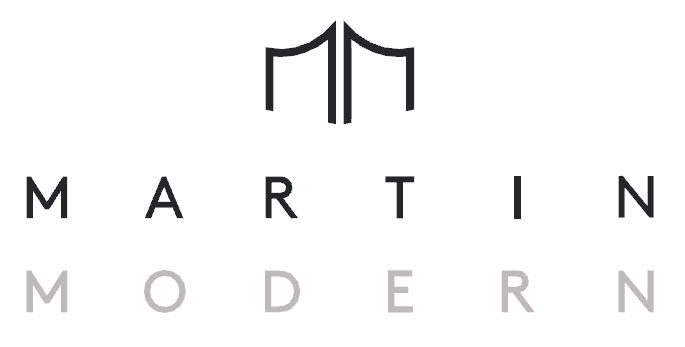 Whether you are looking to invest in property, in Singapore, or looking for a new home, Martin Modern offers you great value for money. Martin Modern condos are close to shops, schools, restaurants, theatres and public transport hubs. Property in District 9 is a great investment. Despite fluctuation is market prices, property prices in the District 9 area have remained stable. There is a high demand for property that is centrally located, in Martin Place, and near World Great City MRT Station and River Valley. There are 2, 3 and 4 bedroom condos available with two additional layout options, for the 2 and 3 bedrooms units that include a study. Martin Modern consist of more than 200 species of plants as well as more than 50 types of trees creating a luxurious landscaping for the owners of the development. Quek Leng Chan, the proprietor of Malaysia Hong Leon Group paid a record price of S$595.1 for this premium property. The development is expected to be completed at the end of 2017. The show flat will open July 8th. You can book to view, from the 22nd. Not only are Martin Modern apartments in a neighbourhood that has top schools, restaurants, and every amenity, but Thomson East Coast are some of the up comings and the MRT lines will make this area more connected with public transport. Martin Modern is a development that is designed to allow you, and your family to enjoy all the benefits of an active, and outdoor lifestyle, right outside your front door. There are wonderful facilities that can provide you, and your family, great alternatives when it comes to spending quality time together, entertaining or exercising. Enjoy a game of tennis on the court, or go swimming in the pools – choose between doing laps, or splashing about in the dipping pool, or perhaps you’d like to unwind after a long day at work in the Jacuzzi. There is also a BBQ Pavilion, Party Lawn, Gym, Reading Pavilion, Dining Lounge, Forest Trail, Club Lounge and Garden Spring, to name just some of the features of this amazing development. There are 2, 3 and 4 bedroom apartments available. The units are designed with an open plan living and kitchen area, two or more bathrooms, and spacious rooms, with balconies. Condos are designed to maximize space, light, and airflow. There is also private lift access, for the 4 bedroom apartments.